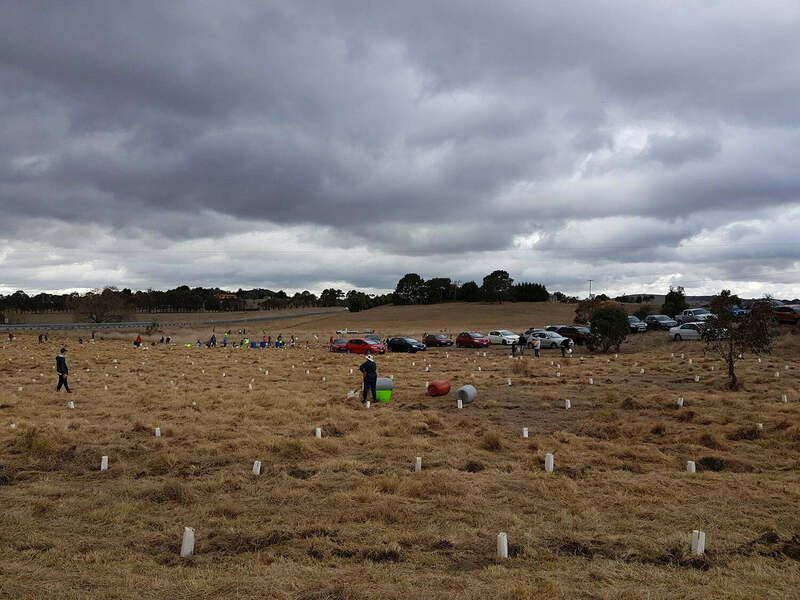 Plant a tree… or 1600! 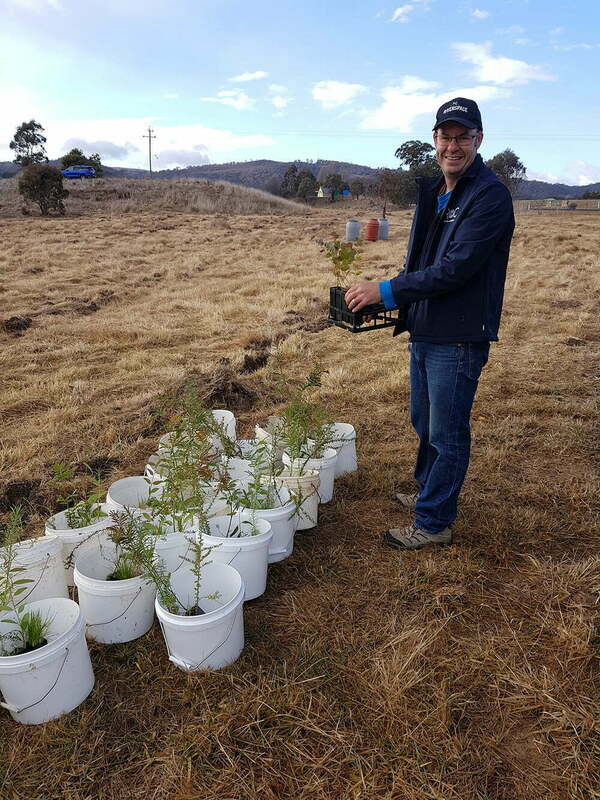 Last Sunday the 29th of July was National Tree Day, and we joined with partners Greening Australia and sponsor Evoenergy for a morning of tree planting at one of our New South Wales Environmental Trust funded Rivers of Carbon sites in Burra, New South Wales. 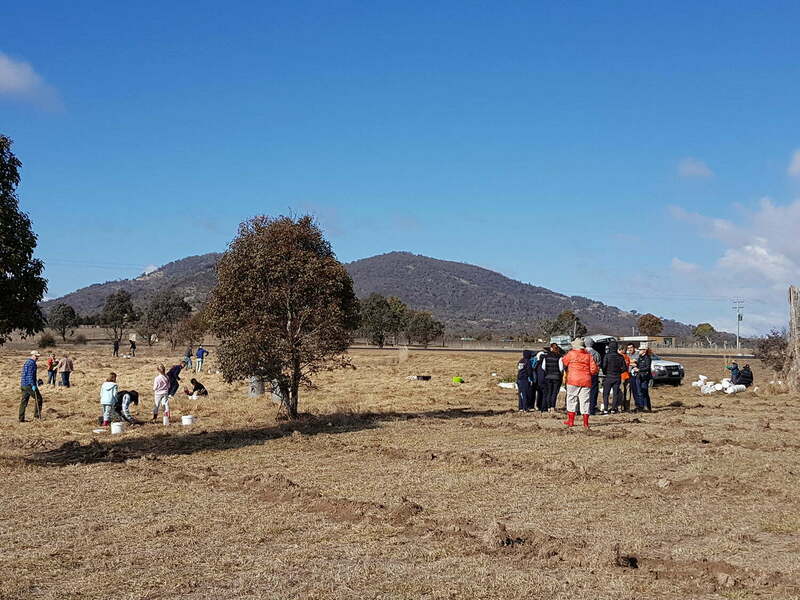 It was very cold, but enthusiasm was high, with our site on the Burra Common an excellent place to raise awareness about how plants can protect waterways, boost biodiversity and provide shelter from the wind. 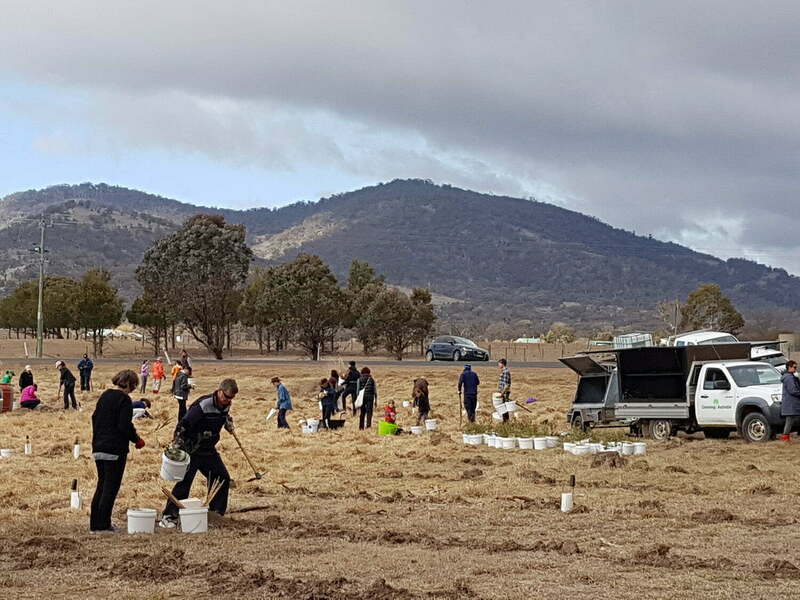 160 people braved the chilly conditions to plant a mix of trees, shrubs, sedges and grasses, on a site encompassing a large dam, creek and boggy flats. 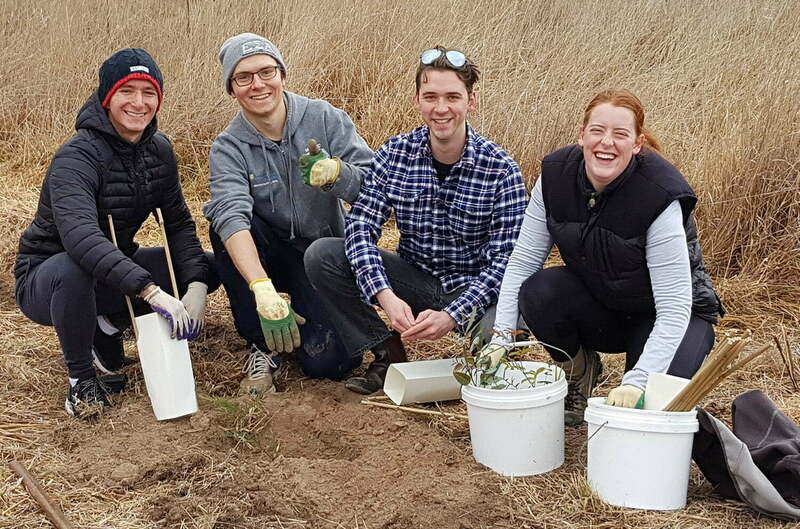 If I was to describe the day, it would be to say smiling faces, dirty hands, hardy plants, and even hardier people, who persisted till the whole site was planted, despite the wind chill factor steadily increasing. 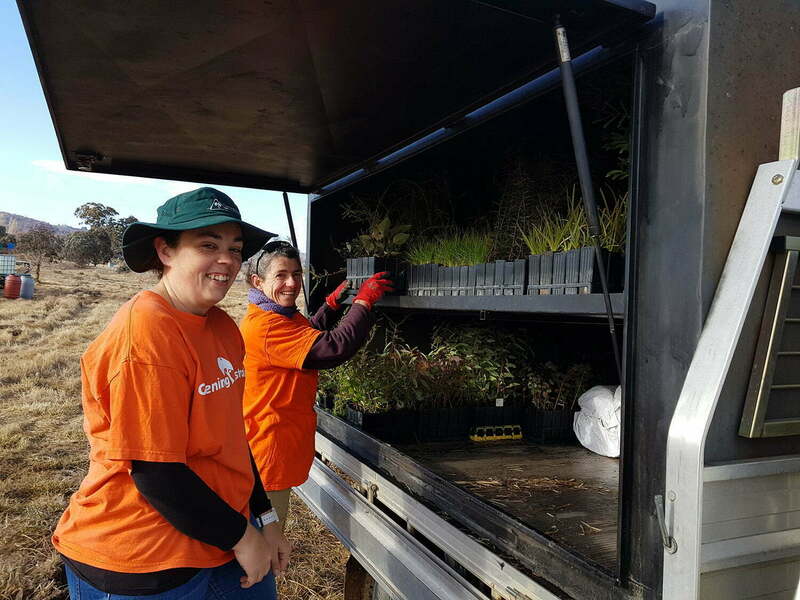 Getting started, Nicky and Belinda opening up the ute to reveal the mix of plants going into the site. Stalwart supporter, my husband Tom getting buckets of 15 plants together to pass on to our keen planters. 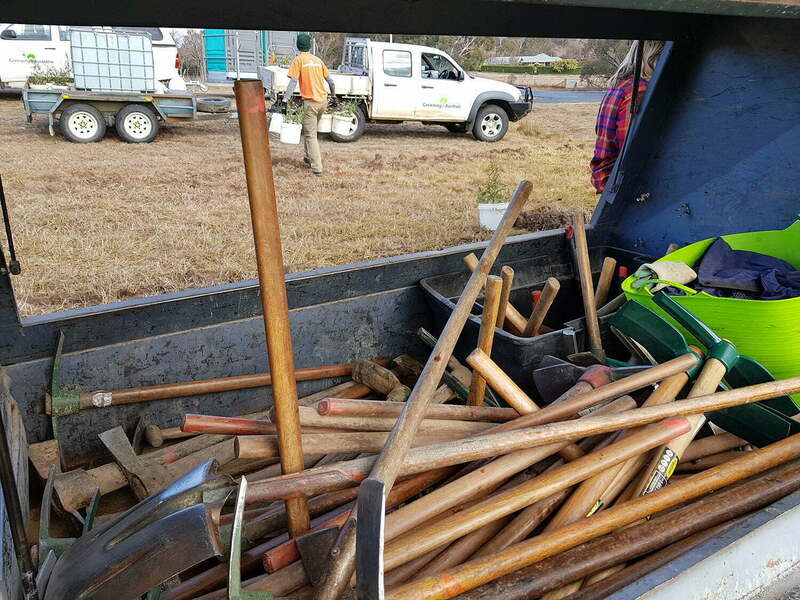 Trailer full of tools, ready for people to get digging! Rip lines all ready to be filled up at the start of the day. It was wonderful to see the area gradually fill up with plants. 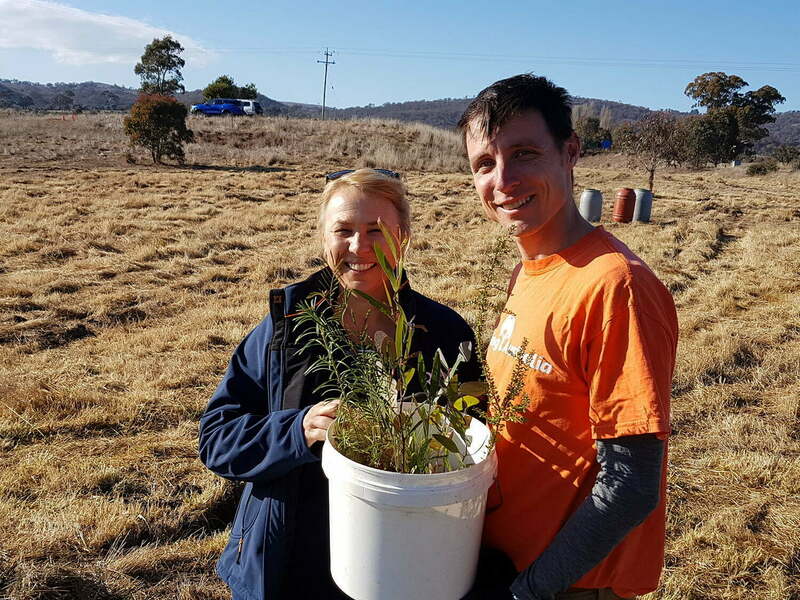 Ange from Greening Australia giving a planting demonstration. A few of the happy faces and groups who joined us. 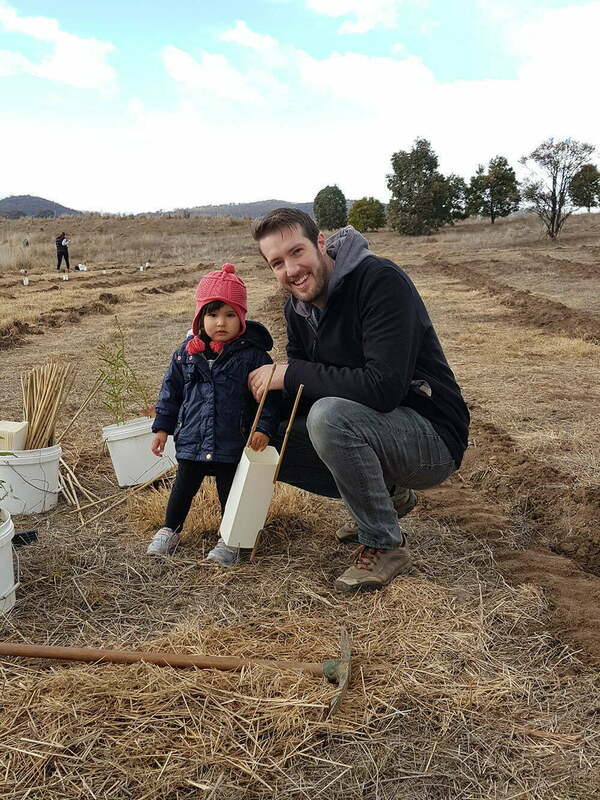 There is something about planting a tree that makes you feel good. 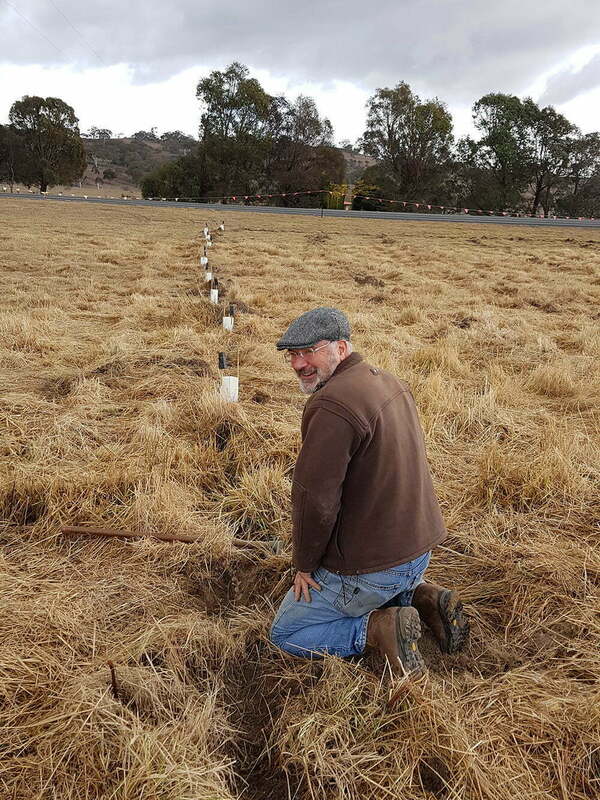 A keen volunteer delighting in his row of trees. We leave the plant tube on the stick near the tree so we know which ones we need to come back and water. Such a pleasure to have children part of the morning. 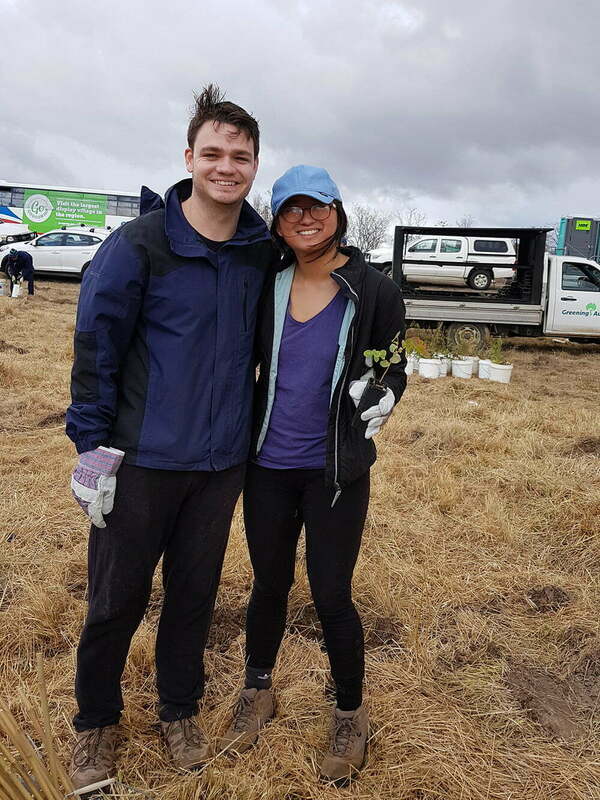 We might also be planting seeds of future careers with RoC and GA! 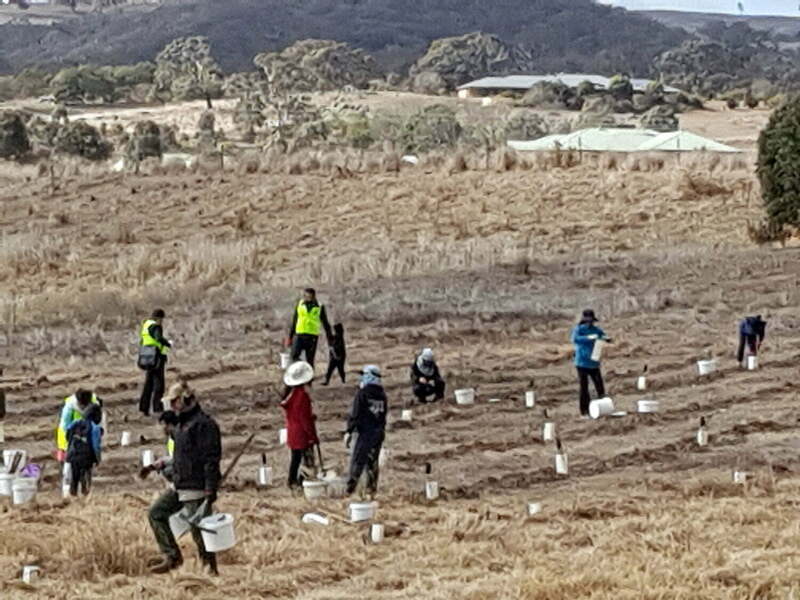 It really was a terrific morning, and so exciting seeing our RoC Burra site transformed from an open site to one full of trees. 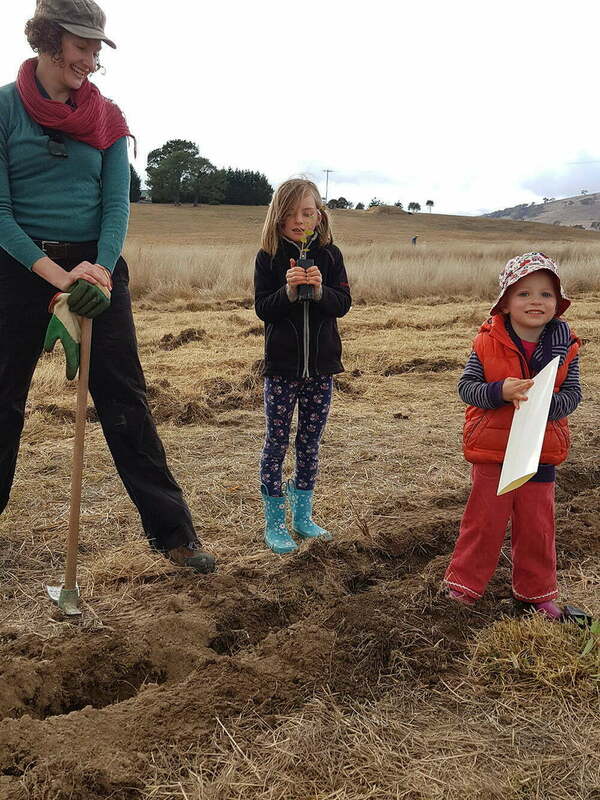 This site is on the main road through Burra, so we plan to add signs and encourage people to walk amongst the plants as they grow, and enjoy watching the space change from being open and windblown to treed, sheltered and full of life. Thank you to everyone involved in our day. 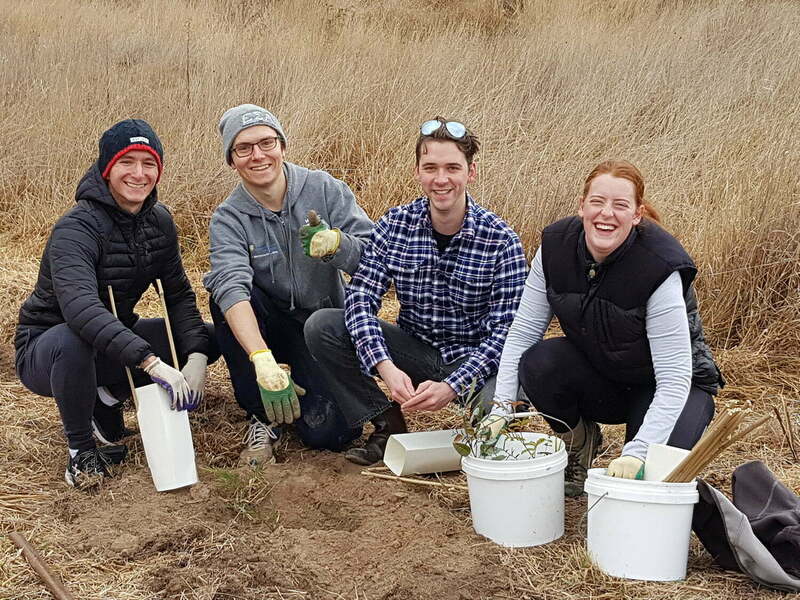 If you want to learn more about our work with Rivers of Carbon – Burra bush, banks and biodiversity you can follow this link. 0 Comments on "Plant a tree… or 1600! 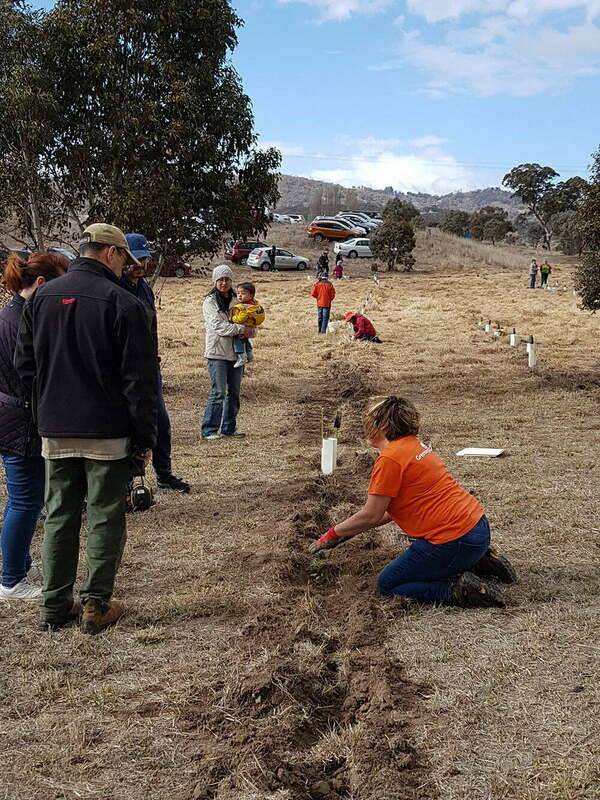 Recap of our RoC Burra: National Tree Day"